Gibson Air is an HVAC company that provides heating services and air conditioning services as well as indoor air quality services to Las Vegas, Henderson & Clark County business and residents. HVAC products we sell include heating systems, air conditioners, indoor air quality products, as well as thermostats and controls. Gibson Air recommends products based on years of experience installing, maintaining and repairing various products. With so much experience with such a wide variety of products, Gibson Air has sound HVAC recommendations for you. Were also a proud Mitsubishi Diamond Dealer and an American Standard Customer Care Dealer, meaning our HVAC technicians have the highest level of accreditation, training, and hands-on expertise. Other high quality heating and cooling products we recommend are Goodman, Amana and Lennox. See below to learn more about the products we are certified to sell, service and repair. Let us know how we can help you and schedule an appointment either by calling our office at 702-388-7771 or filling out an HVAC service request on our website. Gibson Air is a proud supplier of American Standard heaters and American Standard air conditioner units. For more than a century, American Standard Heating & Air Conditioning has been a name you can trust for exceptional comfort and peace of mind. Continually responding to calls for greater efficiency, dependability and versatility, American Standard has become one of the largest and most respected manufacturers of innovative home comfort systems. The packaged gas / electric systems builds on American Standard’s exceptional history. With advanced features, increased energy efficiency and quiet operation, your new heating and air conditioning system installed by Gibson Air will provide your family with many years of unsurpassed comfort. Mitsubishi Air Conditioners and heaters include not only the world renowned Hyper heating and air conditioning technology but are environmentally friendly and have allergen filtration. Mitsubishi Air Conditioners and heaters allow up to 8 room connections with the multi zone ductless air conditioner systems. 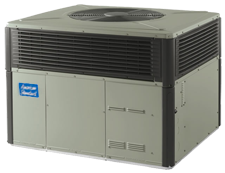 The Mitsubishi Ductless Air Conditioner Heat pump Inverter systems surpass the competitor by always keeping the focus on providing the highest warranty in the market with the most up to date ductless features, matched with the air conditioner and heater industry’s highest customer service. Mitsubishi Air Conditioners incorporate eco-comfort technology, dual and triple-allergen filtration, and are whisper-quiet. Eco-comfort technology makes these Mitsubishi Air Conditioners smarter in how they use energy and minimizes their impact on the environment. Mitsubishi Ductless Air Conditoners have advanced multi-stage filtration systems dramatically reduce allergens and help eliminate odors. It is essential to keep you home safe. Few people consider the air that circulates in the house. You want your family to breathe the freshest air possible. Our air cleaners, humidifiers and ventilators keep mold, bacteria and viruses out of the air, so your lungs stay healthy. With the right amount of humidity in the air, you stay comfortable as well. For added protection, we offer carbon monoxide detectors. This invisible gas may overcome the house without having a source of protection. If levels get too high, our detectors sound an alarm to keep you aware of the situation. 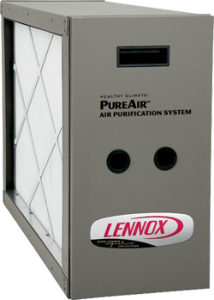 Introducing the Lennox PureAir® Air Purification System – the most effective air filtration system in the nation, period. It can clean up to an astonishing 95% of allergens from the filtered air that your family breathes, so everyone will feel more comfortable, no matter what the season. Just think! With the Lennox PureAir® Air Purification System, the majority of irritating particles like dust, pollen, pet hair and dander, dust mites, mildew, lint, fungus, most tobacco smoke, cooking grease, even bacteria, will be removed from the air in your home or business.Fill your whole house with clean, consistent comfort.